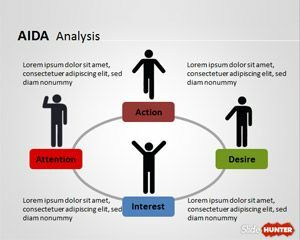 Download free advertising PowerPoint templates and data charts that you can use to make presentations for online marketing campaigns, neuroscience analysis and projects as well as other advertising or online marketing PPT presentations. 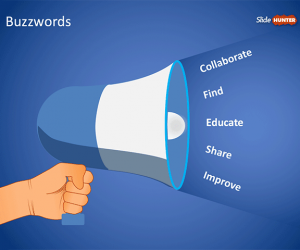 This simple buzz marketing PowerPoint template contains a megaphone illustration in PowerPoint and can be used to represent a buzz topic or make presentations on marketing, social media strategy and advertising. 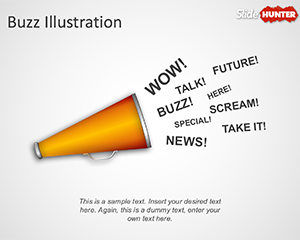 You can download this free presentation template with megaphone shapes and ready for Marketing presentations.